Good morning everyone! Today I have a fabulous sketch to share with you, designed by the uber-talented Sara! Pictures are of li’l Jackson with my husband. When Jackson was little (like 3 months old little), he would hang out and literaly lie right on top of Rob’s hand while he was playing video games. LOL. What a silly kitty! Other than the Kraft cardstock, all other products are Echo Park “That’s my boy!” collection. I felt it was PURRFECT for these adorable pics! TFL and make sure you stop by Sketches in Thyme to play along with us! 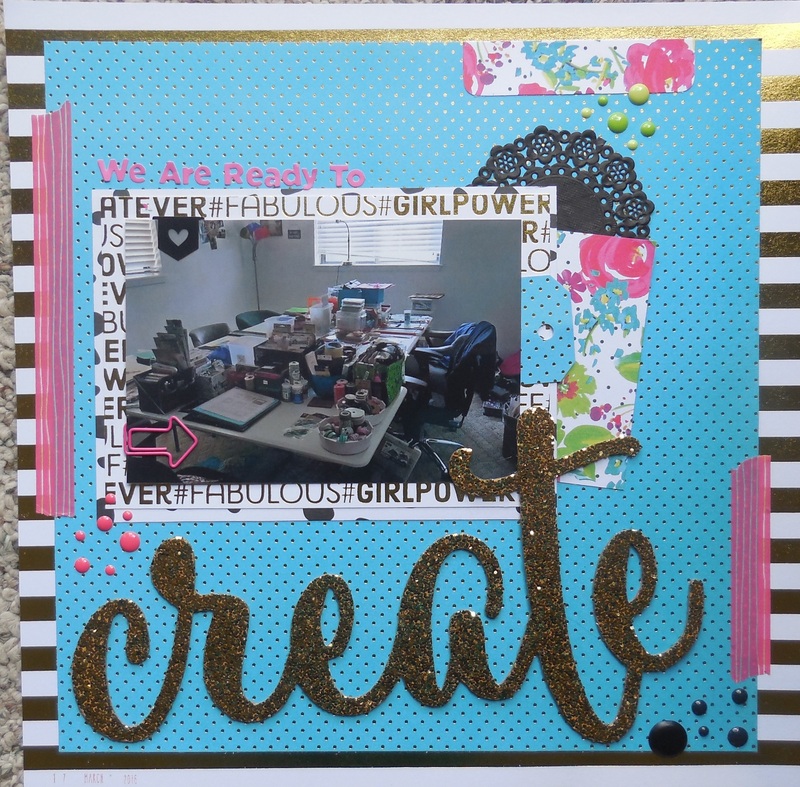 We are ready to CREATE! The papers are from The Paper Studio “Wild @ Heart” and the enamel dots are from various companies – Doodlebug, Freckled Fawn and Echo Park. 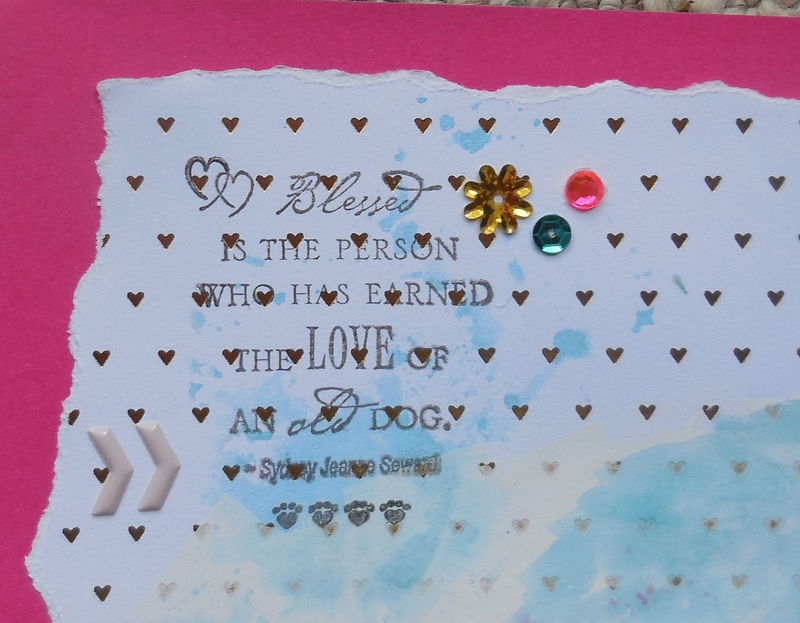 The little black doily is also from Doodlebug and the pink alphas are from Basic Grey “Highline” collection. The washi tape is by Love My Tapes and the black heart paper clip and pink arrow paper clip are both Freckled Fawn. 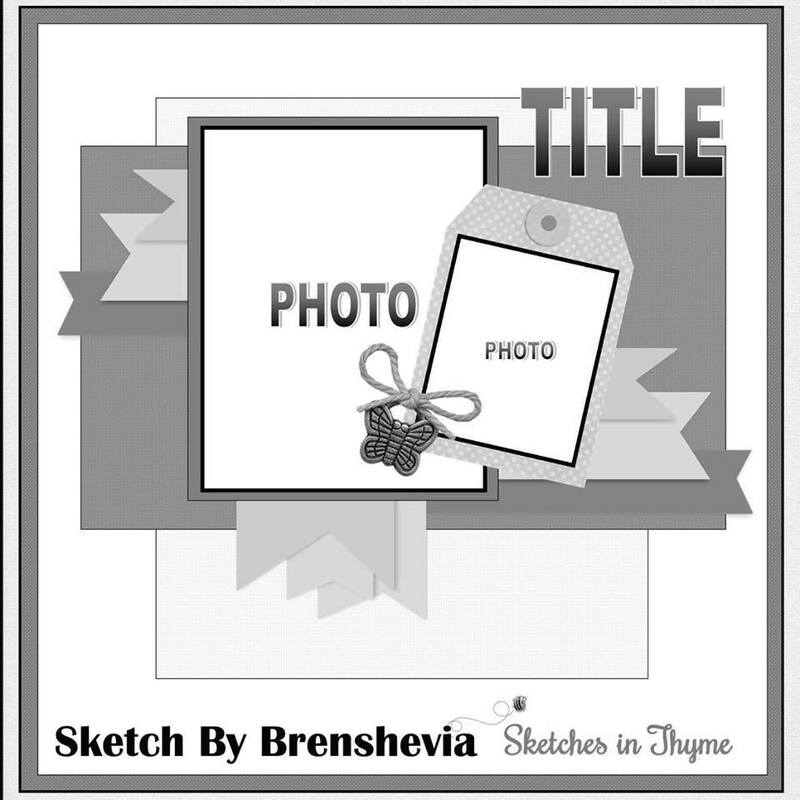 Make sure you stop by the Sketches in Thyme blog and hope you can play along with us! 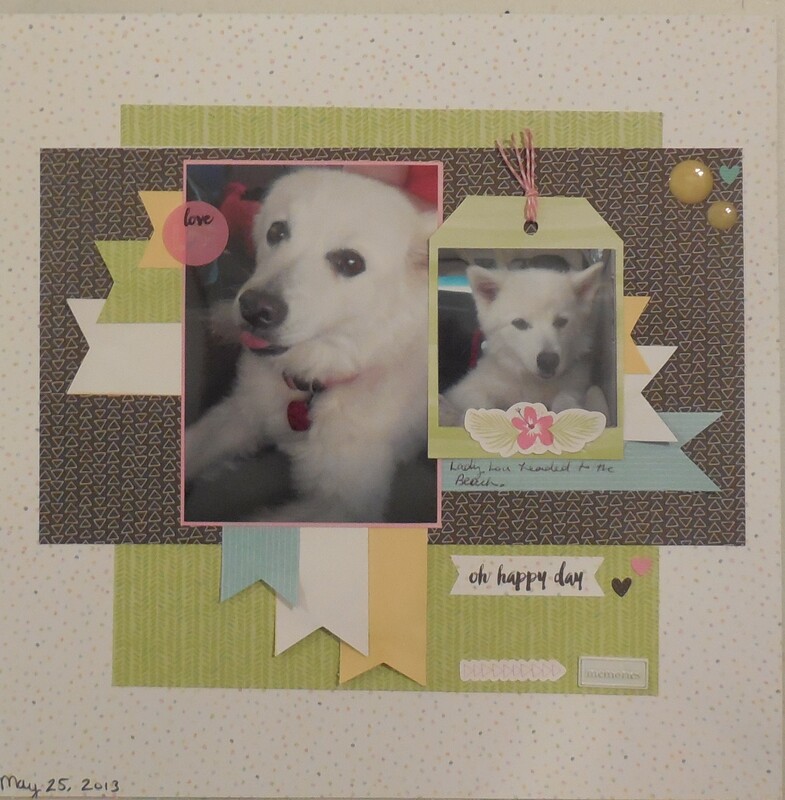 All the papers/stickers/die cuts are from Close To My Heart “Calypso” collection. 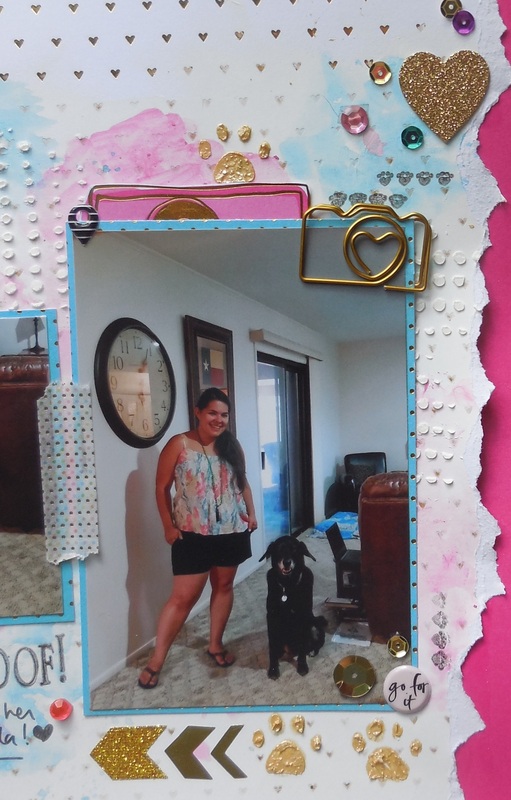 The enamel dots (rain dots) are from Cloud 9 Design and the “Memories” metal embellishment is from Making Memories. All of these items are from this month’s Use It or Lose It Challenge. The twine is by Doodlebug. 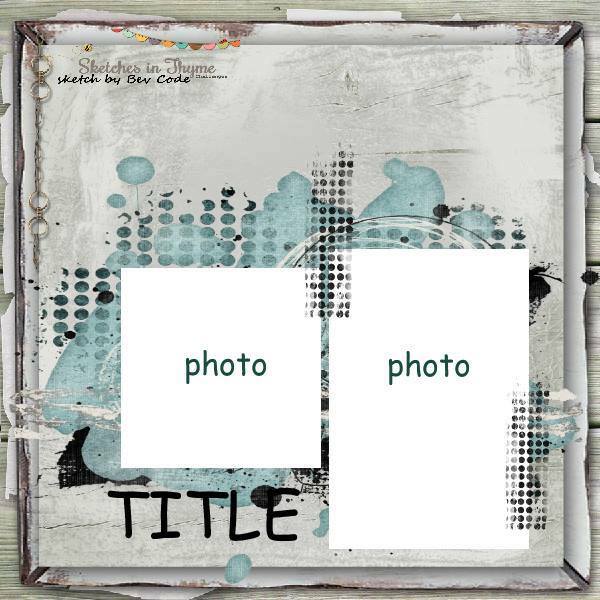 Make sure you stop by Sketches in Thyme’s blog and play along! 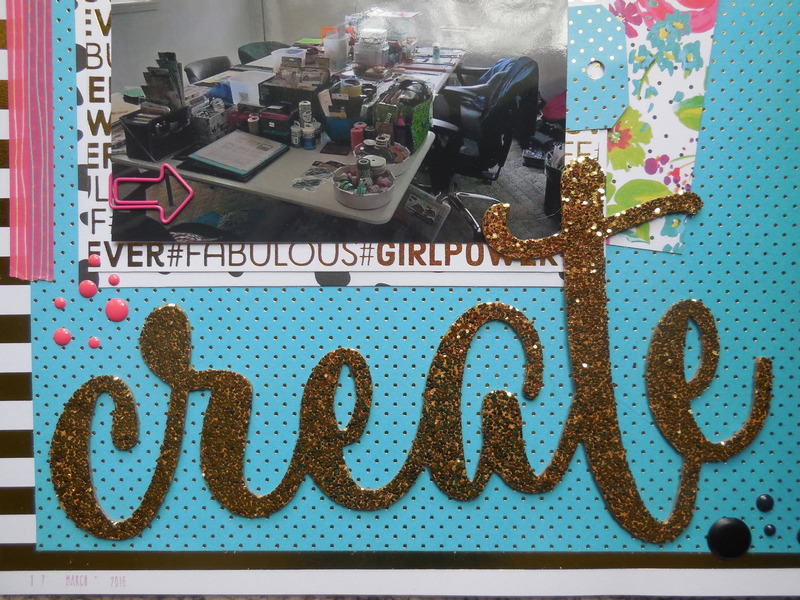 I opted to swap out one of the photo placeholders for a PL card, minimizing the banner, shifting the 2 embellishment spots and removing the title. My journaling is at the bottom, using the spot up at the top for the super cute words/phrases/quote. Most of it is Bella Blvd “Rover” collection, but the PL card is from Simple Stories and the ribbon is from TPC Studio. 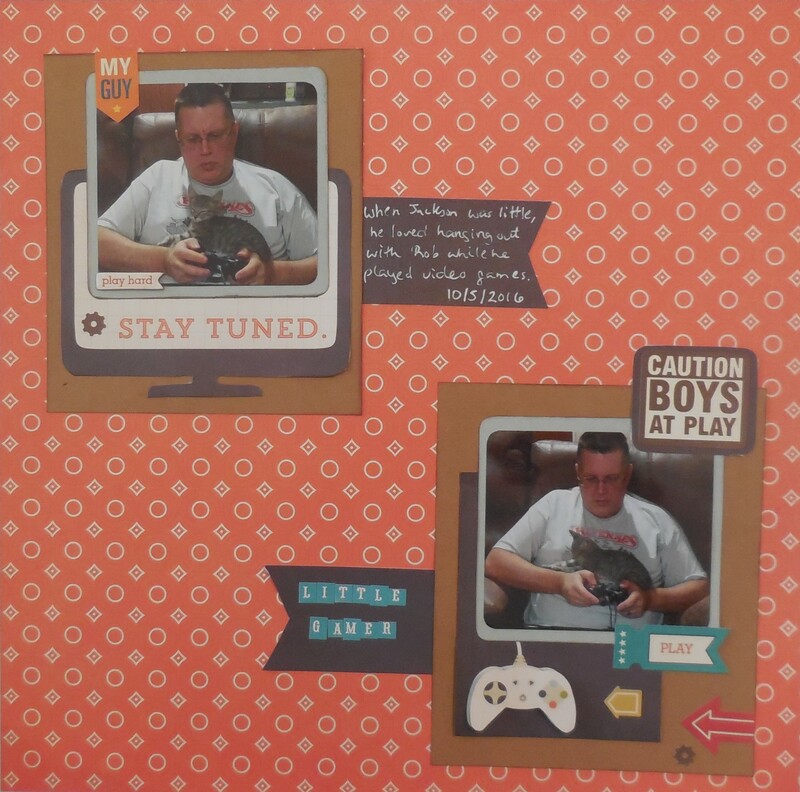 The ribbon is from my November Use It or Lose It post, along with the “foundation” for this layout. 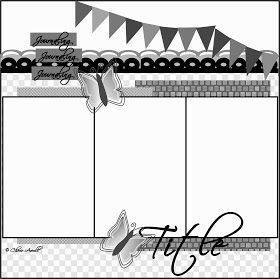 I was going to use a solid white cardstock, but when I was getting the ribbon, I saw that one of those “Sultry” papers from Basic Grey – I had SIX of them! SIX! What am I going to do with SIX pink pattern papers? And this is a super duper old collection where everything was NOT double-sided. So I just flipped it over to use as my “base”. It worked out! 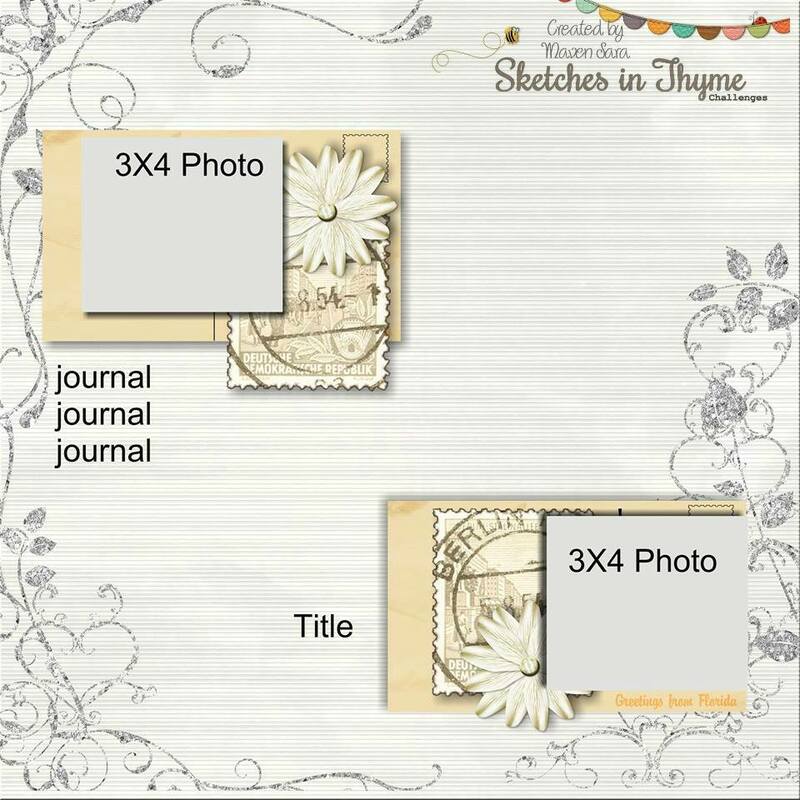 Make sure you stop by the Sketches in Thyme blog and check out the other DT’s layouts and hope you can play along with us! I was instantly drawn to this sketch because of the all the mixed media. 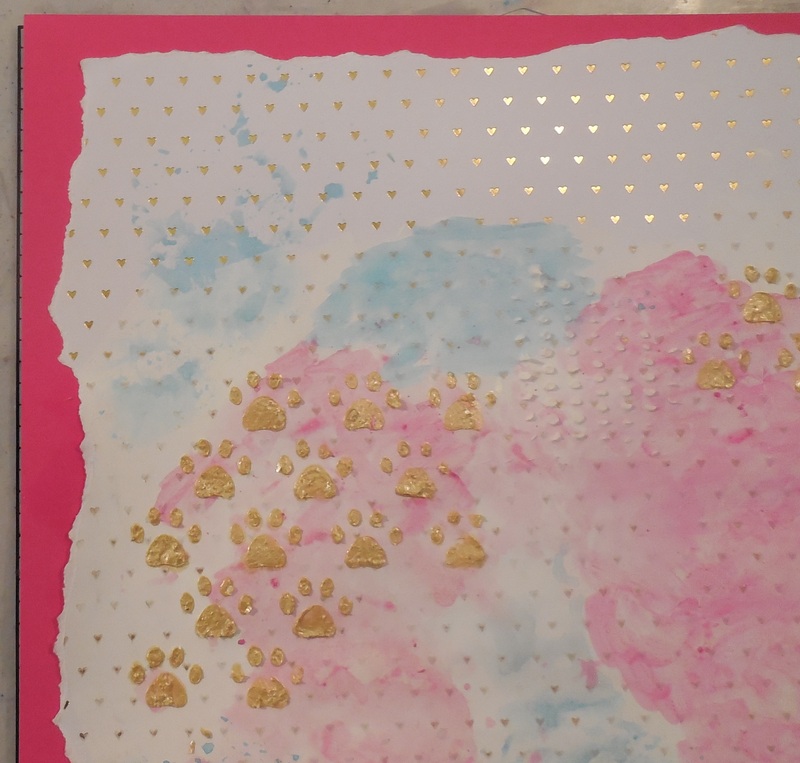 I had so much going in my brain, I ended up using a gelato, 2 Shimmerz products and modeling paste using stencils, the packaging technique and even some stamping! 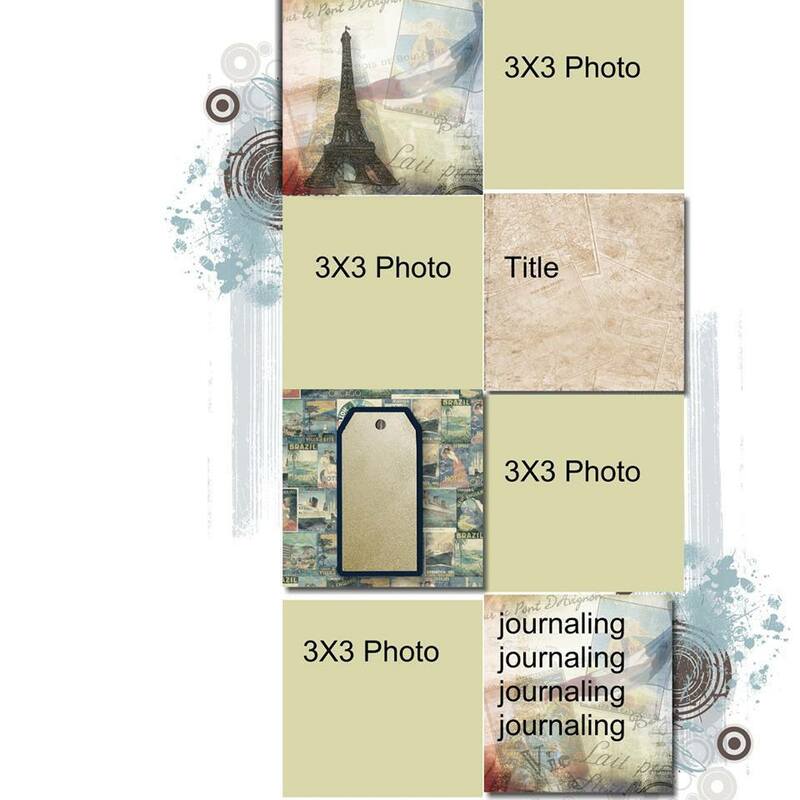 I used papers from “Wild @ Heart” by The Paper Studio, along with bits and pieces from various manufacturers – MAMBI, The Paper Studio, Heidi Swap, American Crafts. And sequins and bling too! The lips were fussy cut from pattern paper. The pattern papers and stamps are from my October use it or lose it challenge, and the bling is from the “second chance” pile from September. 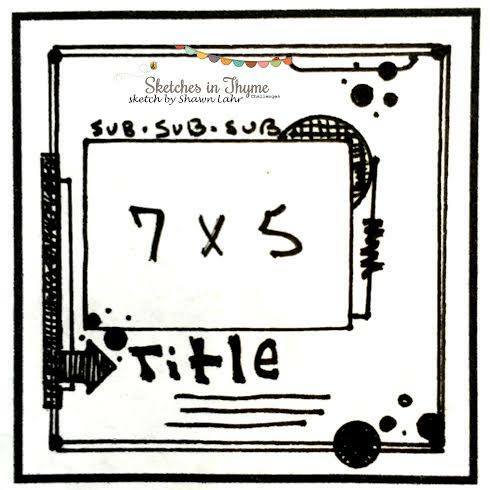 Make sure you stop by Sketches in Thyme’s blog and hope you can play along. This sketch will be featured all week. Good morning everyone! 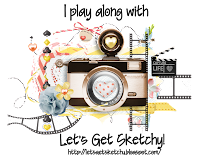 Today I’m sharing with you the newest Sketches in Thyme Sketch. How fun is this? 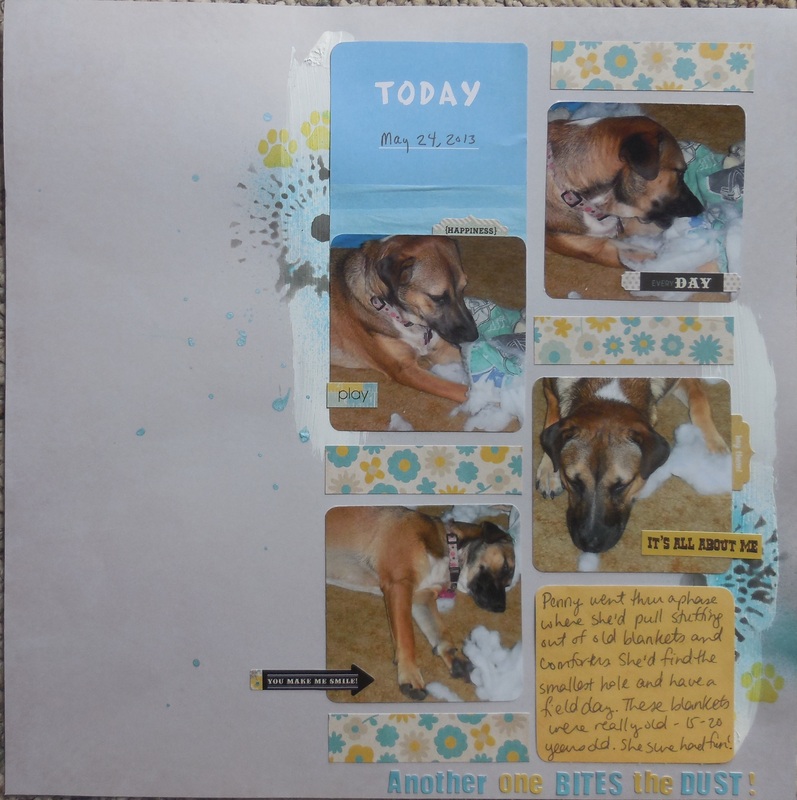 Love the hint of mixed media with the smaller photos and the white space. For my mixed media, I chose to start with some gesso (painting it with quick strokes using an old toothbrush). After that dried, I used Shimmerz Vibez in Jeni B Blue for splatters and some misting. Came back with my Crafter’s Workshop stencil with black ink for the half circles. 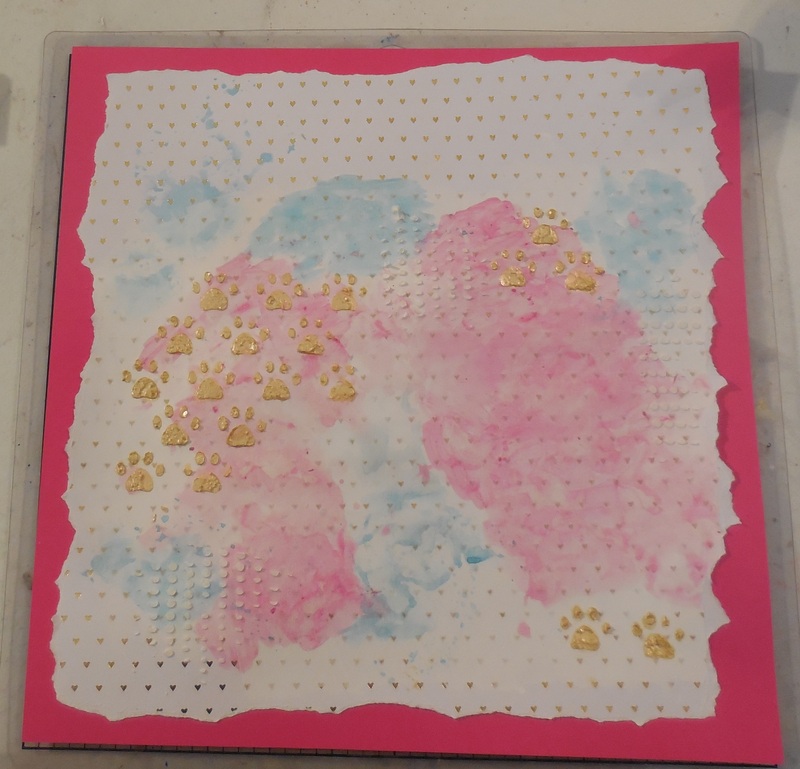 Polished it off with paw prints stamped in yellow ink. After that dried, using the colors from my mixed media work (white, yellow and blue), I pulled papers/stickers from Fancy Pants “Park Bench” collection. I don’t have much left of it but tons of stickers. I even used a border strip (the floral pieces). 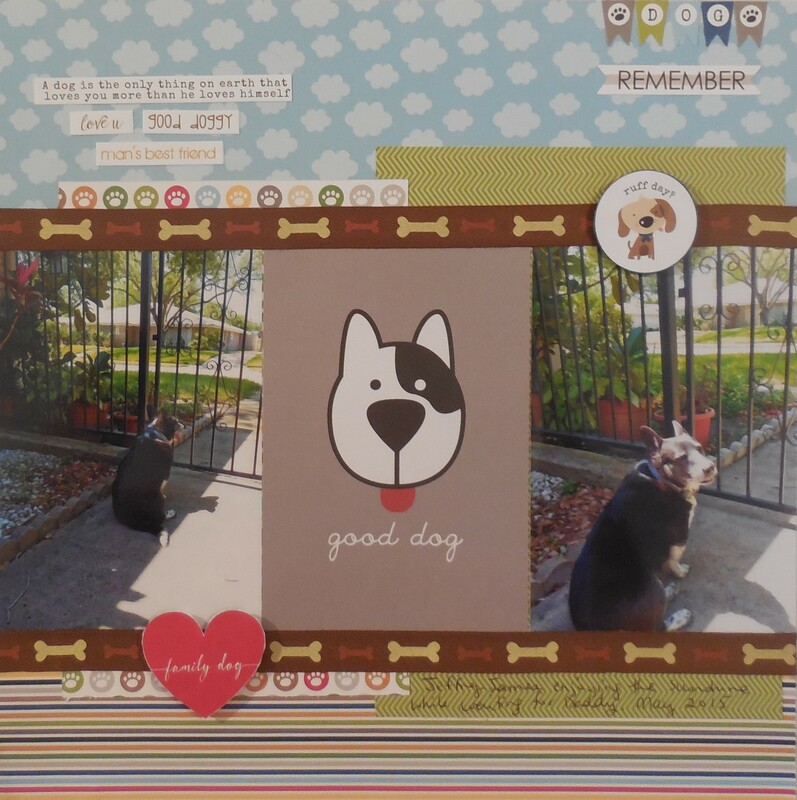 That is from my September Use It or Lose It post, as well as the “today” PL card from Dear Lizzy and paw print stamps from Inkadinkado.